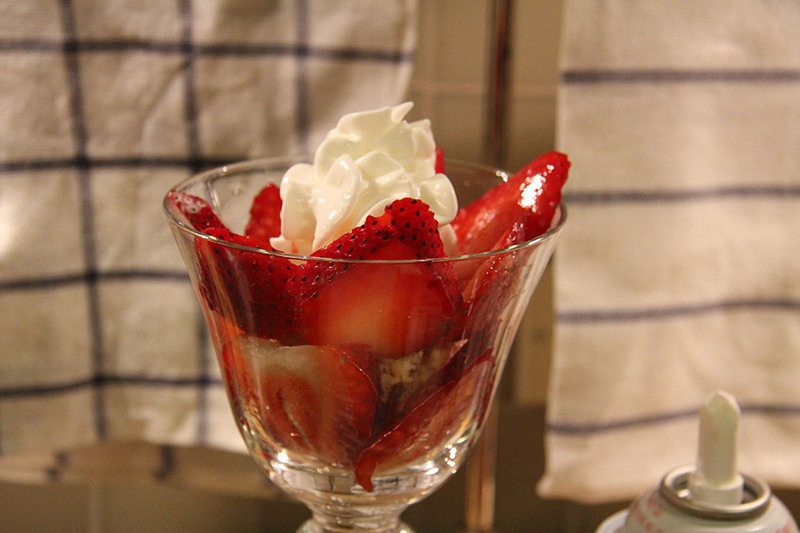 This is the easiest dessert you can make within less than 5 minutes and super delish too. 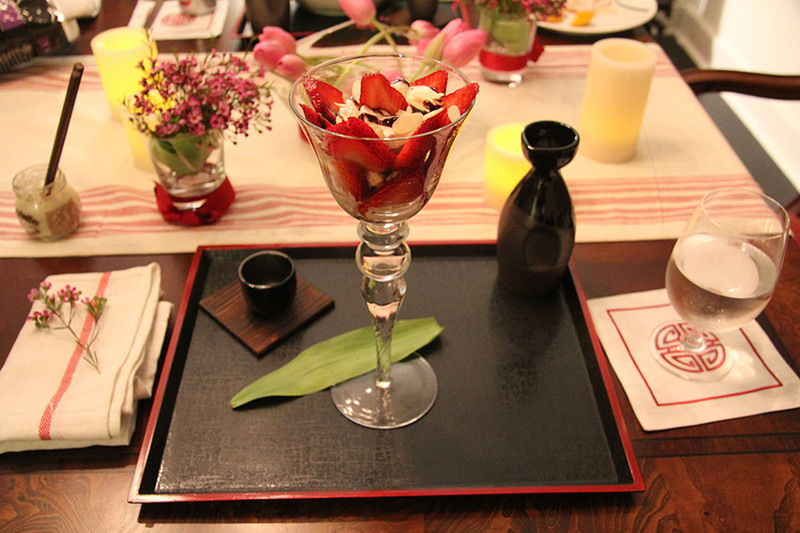 This last dish concludes my 4 course Valentine’s Day Menu. I love making this because it’s easy and a crowd pleaser. Who doesn’t like ice cream with chocolate and whip cream? 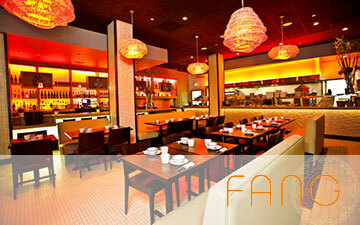 Just pick your favorite flavors and mix them together or create a little sundae bar for people to make their own. Here’s my way of making a nice sundae. 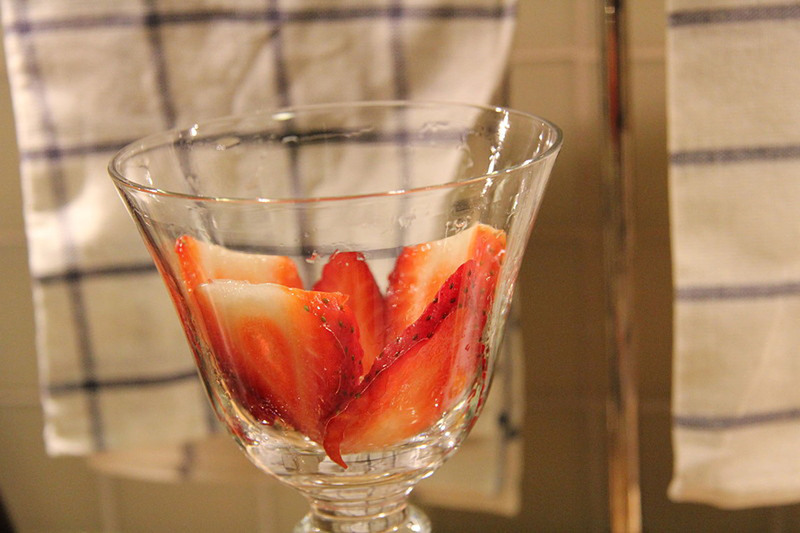 Pick a nice glass for your sundae and layer the strawberries. Scoop a generous portion of dulce de leche. 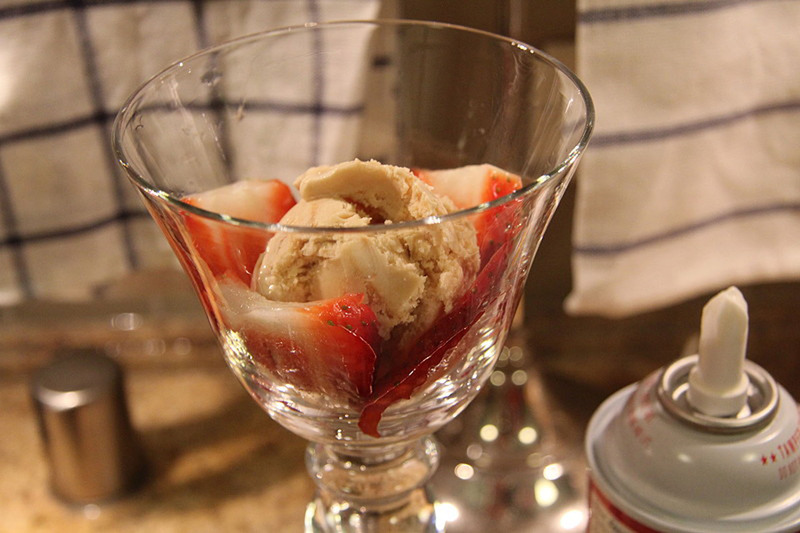 You can also jazz up your sundae by adding a little grand marnier here too and soak your strawberries in it.